I used to talk with Clangador/Chris on Rob Kuntz's old Pied Piper Publishing boards with Gary Gygax and numerous other players from the original D&D campaigns. This was tough news. I'm confused, why is it not a surprise? The fundraising page says he died suddenly. Was he ill? Appears to have died young with teenaged children. God Bless him, and give his family comfort as he passes. 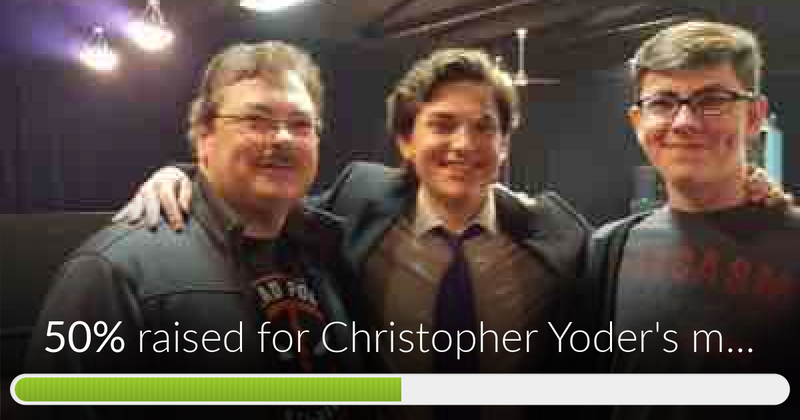 I think I have some $ in my PayPal; what a lovely community that he belonged to to do such a thing. Gamers are a special lot. Thank you for donating. It's not a surprise to Dragonsfooters because we already knew he'd passed away from another thread. The new information is that his insurance isn't paying out. I read that he killed himself. If that was true (and I neither confirm nor deny it), then it might explain why no insurance money is forthcoming. Thanks for helping. Every comment boosts the signal. And that is why I still have money in PayPal; no funding sites seem to accept it anymore, save Patreon...anyone know why this is? Seriously, it seems like PayPal isn't accepted more and more now. Oh thank you Mr. Marshall for explaining. The latest bundle of holding charity might be able to help. Chris Yoder lived not too far from here in Tacoma. I known the guy for over 10 years since I was stationed here in my Marine Corps days and after retirement. I can say knowing him all these years that he had the heart of a gamer and was a staunch supporter of the OSR and Call of Cthulhu. His passing was unexpected and shocking for the most part but I cannot judge one who is now gone. I just hope that he finds the peace and tranquility that he could not find in the land of the living. +Kevin May God bring his soul to his grace, and Mary give him the comfort and love to heal as he passes. Suicide is so hard on families, we had a cousin go just last year, three (maybe more) children...men suffer so much pain in silence; the world seems not to care, as though they are supposed to just 'pulls' themselves up' as if it were the '50s and everyone grew up in nuclear values-rich environments...sadly, few do. Here in Canada suicide is a leading cause of death for young to middle-aged adults, many times more likely than women, often without the family even being aware of their pain. It's tragic, but surely he heals now in the arms of grace.